First, it seeks to inspire students to pursue careers in science through original laboratory and field research conducted in introductory courses with the potential for global impact. 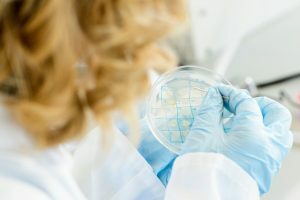 Tiny Earth as we know it was launched in June of 2018, but it truly began six years earlier when Jo Handelsman founded a course—then called “Microbes to Molecules”—at Yale University with the goal of addressing both the antibiotic crisis and the shortage of science trainees. 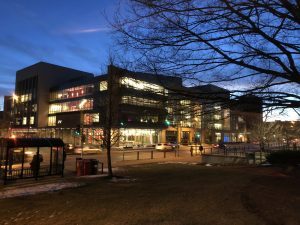 In short order, the course grew and became a part of a larger initiative until Handelsman returned to the University of Wisconsin-Madison and launched Tiny Earth in collaboration with its hundreds of partners worldwide. Today nearly 10,000 students are enrolled in some version of the course annually in 45 U.S. states and 15 countries. The program, headquartered at UW-Madison’s Wisconsin Institute for Discovery, is more than just a course: a network of talented students and instructors share research findings, best practices, and enthusiasm for discovery. 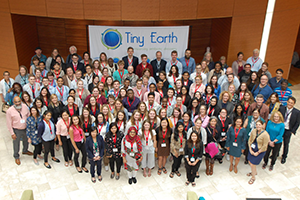 The name Tiny Earth reflects the program’s global reach, microscopic subjects, and tight-knit community. Today we are taking new steps to build and maintain a database of compounds discovered by students, create a chemistry hub to analyze samples centrally , and update the curriculum based on new evaluation tools. Tiny Earth also has new partnerships with the Joint Genome Initiative and the Illumina Corporation to support its scientific mission with free sample sequencing. As our community grows, so do our ambitions. We remain committed to providing excellent and engaging science education and solving the antibiotic crisis. See Jo Handelsman’s letter about the bright future of Tiny Earth.